Investing in a SIEM solution is an important step in protecting your organization from advanced threats. However, selecting a SIEM vendor can be a challenge unless you know what questions to ask and what essential features you need from your next solution. If you know what features to look for within a SIEM solution, you can narrow down your potential list of vendors. 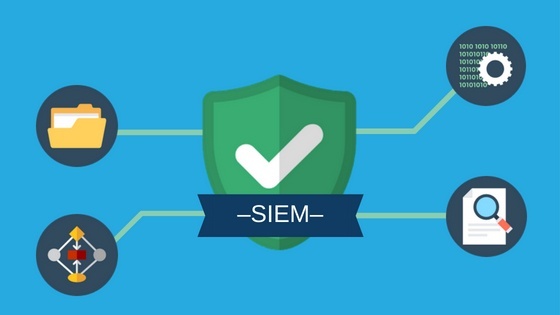 Here’s the must-have SIEM features when choosing a SIEM solution. Log collection is the lifeblood of SIEM and the first phase in realizing the value of a SIEM solution. A SIEM can ingest logs from an array of IT devices and external sources, including servers, security devices, applications, operating systems, and more. The SIEM collects logs and maps the information it gathers about your IT infrastructure to these logs. SIEM is the solution that manages and controls the security of your entire network. So, it’s important to consider which devices will generate logs for the SIEM. When logs are collected, the security team obtains rich insights into the overall network activity and health. It’s also important that logs are collected in real-time so that malicious activity is detected as soon as possible. Another important SIEM feature is log correlation. Logs vary from system to system and can be uninterpretable. Interpreting alerts from log activity could be difficult for an analyst if they were to sift through raw log data. Some devices may give detailed insights while others may be ciphered in a way that is unreadable. Security analysts need log correlation to understand precisely what’s happening in the network. Data parsers are used to read the messages from correlated log data and make sense of data points. These are helpful for normalizing the logs from multiple sources into interpretable insights. The SIEM ingests logs from various sources and correlates it to threat intelligence feeds and malicious activity found within the environment. Make sure to ask a SIEM vendor if the platform supports any threat intelligence feed or if you must use their specific feeds. Next, notification and alerting are important features for SIEM solutions. A security analyst can set up triggered events based on specific data points found during the log collection and correlation phases. If threats are detected, the SIEM solution can send real-time alerts delivered directly to the security team for further investigation and remediation. Real-time notification and alerting by the SIEM enables analysts to respond to attacks much faster than before and potentially decrease your Mean-Time-to-Detect (MTTD) and Mean-Time-to-Respond (MTTR). It may also decrease the time a threat actor is within your environment and prevent your organization from losing revenue or damaging its brand reputation. Once an alert is generated or triggered, it can be assigned a priority based on security policies, alert rules, and if threats are found. Alert prioritization is an important feature because focusing on the most important threats is what matters most. SIEM solutions can often generate hundreds or even hundreds of thousands of events per second. Security analysts need to be able to sift through these alerts and gather important insights from the SIEM so that they can investigate the alerts quickly. Machine learning and artificial intelligence can also be features that can help improve alert prioritization in a SIEM platform. Machine learning algorithms look for patterns through the large volume of log data to help the analyst quickly identify indicators of compromise. AI improves the accuracy of SIEM correlation rules and events. Not to mention, a security analyst can use AI to investigate more sophisticated and complex attacks to fill in the gaps. Your security team likely has so many questions related to the network and its activity. Reporting is a very important aspect of the SIEM because it distributes information in a meaningful way. A SIEM solution should prepackage reports out-of-the-box and also help you customize report templates so you can get the reporting you need for your business. The reporting and dashboards for a SIEM should help you support organizational goals and offer Executive-level reporting that shows security metrics in a meaningful way. Perhaps, your Executives want to see how MTTD and MTTR have improved over the last several months. Or, your security analysts may want to see account activity, how many applications are accessed by users, terminated accounts, or suspicious users and activity. If you need to meet a compliance regulation, reporting tailored to this regulatory body is imperative as well. You may need the SIEM to report on your compliance for PCI DSS, HIPAA, SOX, FISMA, GLBA, GDPR, and more. This is the collection of reporting you want to capture from your SIEM solution. Finally, security workflows are another important SIEM feature you’ll need. A security workflow allows your security team to visualize the security monitoring stages, the incident response process, and the events that occur across each of these stages. A security workflow allows your team to identify reactive responses or prevention-centric responses and shift to a more response-centric mindset. Security workflows are important in showing you where your security team spends its time and where improvements can be made. You may find opportunities to add automation so that analysts aren’t spending time on repetitive tasks. Automated workflows accelerate threat identification and investigation capabilities. Ultimately, adding automation to your security workflow allows your team to speed up attack triage and potentially lower your MTTD and MTTR. SIEM solutions have come a long way and now offer some of the most robust capabilities for improving your overall security posture. If you’re evaluating SIEM solutions, consider CIPHER as an expert resource for evaluating and identifying the right solution for your business. You might also be interested in managed SIEM. CIPHER’s in-house security team becomes an extension to your team by managing and monitoring your SIEM environment on a 24x7x365 basis. Contact us below to find out more!